My children are bookworms (The apple doesn’t fall too far from the tree!) but they also love video games and computers. After I received an e-reader for Christmas a few years ago, I purchased several storybook apps for them. At the time, neither of my children were independent readers and e-books were an excellent way for me to supplement our reading. Most apps have two play modes - read to me or read myself – so both kids could “read” on their own by following along. My children had fun AND they were learning at the same time! What more could a mom want? 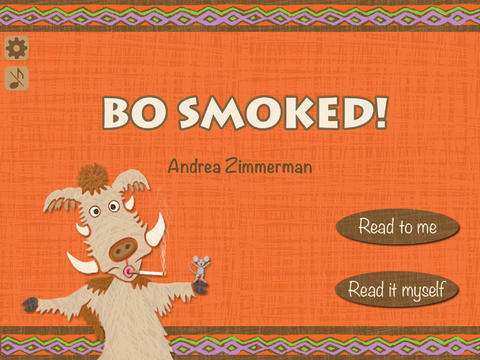 When Andrea Zimmerman asked my children and I to beta test her latest project, Bo Smoked!, we happily agreed. Bo Smoked! was a huge hit with my kids. They loved Bo and enjoyed the app’s interactive features – sound effects and billowing clouds of smoke. Bo Smoked! is the brainchild of Andrea Zimmerman, author of such wonderful children’s books as Trashy Town, and Dig!. Together with her husband, David Clemesha, Andrea has also written and illustrated Train Man, Digger Man, and Fire Engine Man. Bo Smoked! 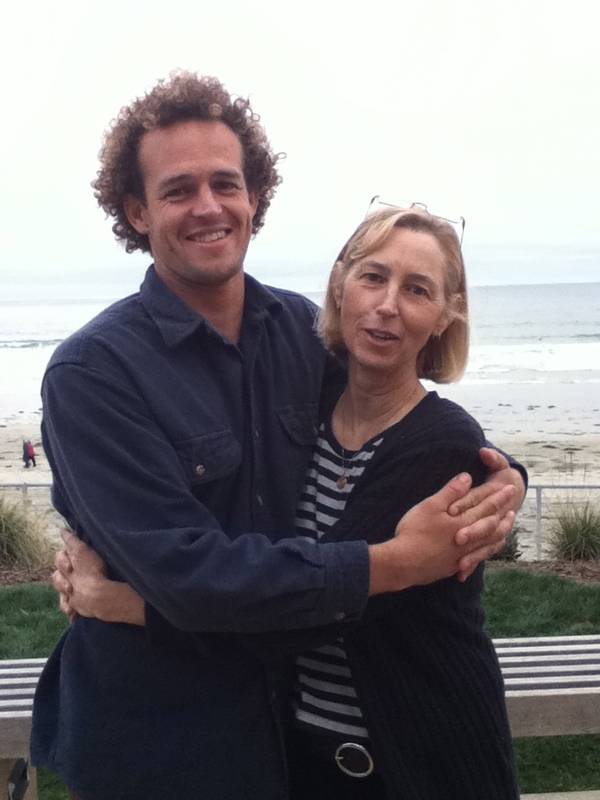 is her first collaboration with her son, Alex Clemesha. I asked Andrea to stop by the blog to tell us more about Bo Smoked! 1. What inspired you to create Bo Smoked!? Seeing some of my own kids' friends turn into smokers when they reached teenage was disheartening. I thought, couldn't we do more to help younger kids know that cigarettes are bad! 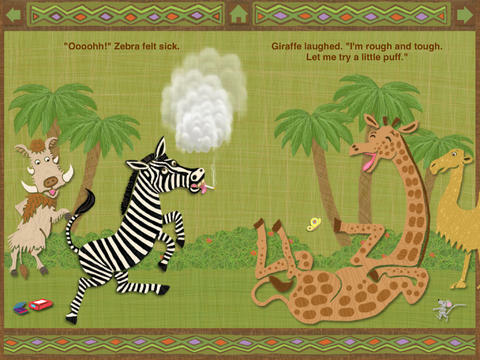 I wanted to make an anti-smoking picture book for the very young as there aren't many of these kinds of books out there. Of course, it's not easy to create a story that teaches something like this without being preachy, so it was a challenge. I thought it would be fun to make an app since Alex is a software developer and he was interested and willing to learn about doing this kind of programming. 2. How was the creative process different from your other collaborations? The collaborative part was primarily on the technical side. I wrote and illustrated the story before we started making the app. Then I created the components that went into the program, while Alex did the coding. We worked together to get the app looking and functioning the way we thought was best. But for the most part our work was quite separate. We would sometimes get together in person or do a Google Hangout to talk things over. 3. How is creating an app different from writing a picture book? Because we were creating a story app, as opposed to a game app, in many ways it was the same. I painted pictures and wrote words that told a story. But those words and pictures were digital files that went into the software program that Alex created instead of going to a printer. A bigger difference was adding things like touchable items, background music, and narration. For each touchable item, there had to be a separate drawing, so there were lots of bits and pieces to make. 4. What challenges did the form present, if any? Understanding the limitations. You quickly find out that just because you imagine something happening in the app, does not mean you have a magic wand to make that happen. The iPad will do great things, but telling it what to do involves long, careful code writing which Alex did. Sometimes putting together sounds, motion, and many other functions can be a lot of "moving parts" inside the program and it crashes. I have a greater appreciation of the fact that a computer program is not magic, but rather lots and lots of bits of information. 5. Were there advantages to using technology to tell a story? It was fun to be able to create characters who could actually cough out smoke when you touched them! 6. Do you have plans for another app in the works? We do, but we're not sure what story we'll use. We learned so much doing the first one, we'd like to put that knowledge to use again. It will be much easier the second time around! Thanks for the stopping by, Andrea. I can’t wait to see what you and Alex create next. Bo Smoked! is available FREE for the iPad in the iTunes store. And don't forget to check out Andrea's blog, Picture Book Party.